With a number of traditional marketing and advertising initiatives planned to promote the Toronto Sportsmen’s Show, organizers also recognized a tremendous value in adding social media to their marketing mix. 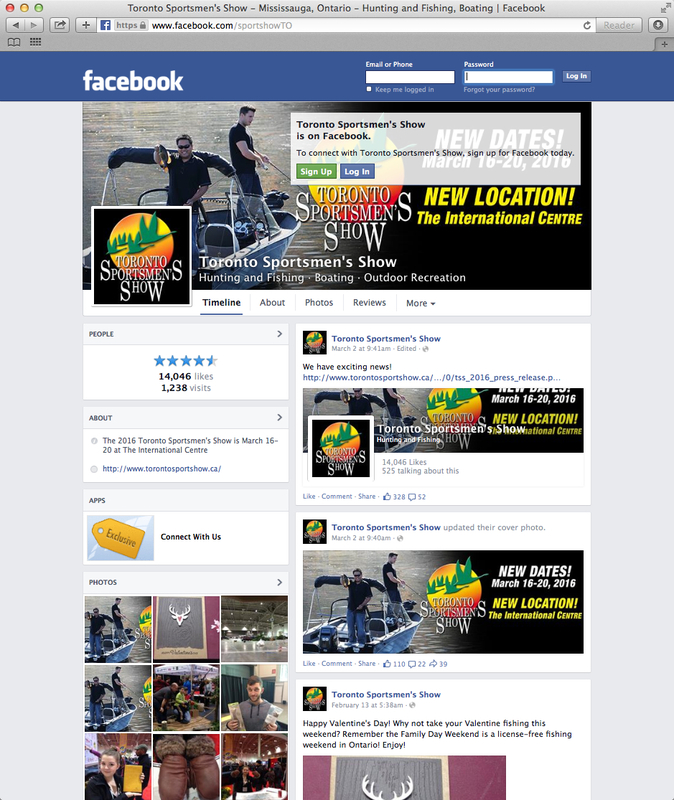 As Canada’s biggest and best outdoor show, TSS set their sights on developing a strong online community, focusing on Facebook. TSS entrusted Search Engine People to help grow their Facebook fan base just shy of 1,000 followers to 10,000 over the next 6 months. A strong online following would create more brand awareness, provide an opportunity to connect with attendees on a one-to-one basis, and allow TSS to generate advanced ticket sales. Search Engine People implemented a two phase strategy. The first phase focused on building a fan base of relevant followers. These fans became brand advocates growing 400 strong within the first 3 days of launching, engaging with content and sharing it with their own networks. In collaboration with TSS, SEP developed a content library and posting schedule for the second phase of their campaign. SEP then promoted contests, graphic tips, blogs, and other pieces of curated content to their fans. Branded content was also used to promote the event and advanced ticket sales were advertised via Facebook Offers and Promoted Posts. By adding Social Media to the marketing mix, TSS was able to better connect with their audience through relevant content, and participate in discussions throughout their Facebook page. In less than 6 months, the TSS Facebook Page garnered 11,859 new fans for a total of 12,700 – well exceeding the original target of 10,000 fans. Additionally, the promotional campaign rendered 23,379,251 ad impressions and a boost in ticket sales in the Greater Toronto Area alone. SEP’s approach was refreshing. They eagerly gathered as much information from me as possible and asked intelligent, thought provoking questions. I received a prompt, professional and on the mark proposal which clearly illustrated they were the right company for the job. The results speak for themselves, we far exceeded our target. If you are looking for a comprehensive and effective way to grow your social media presence, hiring SEP is the answer. Well after the main TSS event, the organization continues to engage with their audience with relevant content and promotional offers to further expand their fan base.